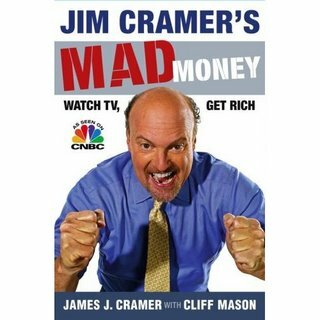 I just finished reading Jim Cramer's new book: Mad Money: Watch TV, Get Rich. I was very very disappointed with the book. It contains very basic information and talks mostly about the TV show. He does touch upon a few strategies, but it definitely wasn't enough. I enjoyed his other book: Real Money: Sane Investing in an Insane World. I am a fan of his TV show, but not this book. 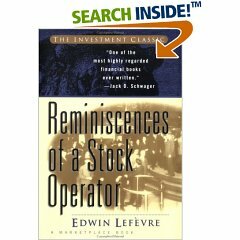 If I was to pick just one book on trading, it would be Reminiscences of a Stock Operator by Edwin Lefevre. BTW, I just finished The Dollar Crisis, by Richard Duncan. A reasonably timely read for me, given recent selling of the dollar. Yet, most of the charts and analysis are focused on data up until 2003 (the date of the 1st Ed.) and do not helpfully speak to contemporary events. Reminiscences of a Stock Operator is a very old book, but many strategies still apply in todays markets. The Dollar Crisis sounds interesting. I'm worried about the dollar and looking to put more money overseas. Reminiscences of a stock trader is a very good book. I have read it twice and now that you have remined me of it I will read it again. Thanks, and nice blog. Choose Red or Black on the Roulette? Weak Dollar = Good For Biotech?